Updated Dec 13, 2015 – Will be used for the upcoming year of 2016 with no changes! Mitigation verification inspections occurring on and after 4/21/2010 should be completed using only the new 1802 (Rev. 02/10) form. We request your assistance with ensuring that policyholders have access to the new form. For your convenience, we have attached the new form. As the State makes strides in vetting the Wind Mitigation Inspection process, it is important to note that our agents play a critical role in that process. As we have noticed in the past, UPCIC has been receiving a significant number of mitigation discount forms with incorrect information or other concerns such as inconsistent signatures, unlicensed contractors or engineers, or alterations to the official Office of Insurance Regulation form. The utilization of this new 1802 form is an important first step in correcting these concerns. Mold testing in southwest Florida, Bonita Springs. What Is Mold Testing? How Is Mold Testing Performed? Broadly speaking, most mold testing involves taking a sample of either the air or a surface. Essentially, a mold inspector “tests” the air or surface to find out what kind of mold exists and/or if the mold found is able to grow in the area tested. Air samples can be taken and analyzed in a variety of ways. The most common method uses a “spore trap” and is called a “spore trap sample.” Spore traps work by having a known volume of air pass impact a sticky surface as it passes through the spore trap sampling device. Most of the particles in the air also impact this sticky surface and consequently adhere to, and are captured on, this sticky surface. Mold spores comprise a subset of these ‘particles in the air’ and also are captured on the sticky medium inside the spore trap. When the spore trap is sent to the mold testing laboratory for analysis, the mold laboratory opens the spore trap, applies some stains to the sticky surface that the mold spores can absorb, and then identifies and quantifies the types of mold spores captured during the sampling process. There are other methods of mold sampling, including culturing or growing the mold spores captured from the air, but these are less commonly used. Tape samples. A piece of clear tape is pressed against and removed from the area being sampled, presumably picking up and removing part of any mold that was present on the surface, and then set to the mold testing laboratory for analysis. After the mold samples arrive at the mold testing library there are many ways to analyze these mold samples. The most common methods involve transferring relevant sections (or all) of the submitted mold sample onto a glass microscope slide, adding a stain that mold spores can absorb, and then evaluating the sample for evidence of mold growth. Should I Have Mold Testing Performed? It depends. Sometimes mold testing is not necessary. For example, if there is a known roof leak that led to mold growth in a known, confined area, you should take appropriate actions, including fixing the roof leak and having the mold removed in an appropriate and safe manner. With the roof leak, testing and identifying the mold would not change the fact that you should fix the leak and have the mold removed. With the home purchase, having evidence of unusually high levels of mold spores in the house could significantly change the terms of the real estate transaction or even whether the transaction continues. Mold tests are not perfect. False negative and false positive results do sometimes occur. Mold testing results are one piece of information, sometimes an important piece. But other pieces of information are also needed and are often more important and should take precedence over the mold testing results. For example, a good visual inspection of the property is usually essential for a good mold investigation and often more important than the mold testing results. It’s always best to hire a professional mold inspector to do the mold inspection for you. Thanks to mold inspectors’ experience and their knowledge of spots where mold most often hides, you can be sure that if there’s any mold in your home that they will find it. It’s important to think of recent water problems you’ve had in your home when it comes to preparing for a mold inspection. If you hire a professional mold inspector it’s a good idea to let them know about any leaks, floods or any other moisture problems you’ve had in your home. If you are performing the mold inspection yourself then knowing about places which had water problems in the past will give you clues about where the mold is most likely growing. Some common places where mold often grows is on substances high in cellulose such as drywall, under carpets, in insulation or in ventilation ducts. Visit Where Mold Grows for more help with finding mold and for more places where mold often grows. If you cannot see mold in a room it doesn’t mean there is none there. Mold can often grow hidden from view behind walls, above ceilings, under floors or in air conditioning ducts. If you find small spots of mold on a surface it could mean there is a much larger mold colony growing hidden away on the other side. Besides using your eyes pay attention to any odors. The smell of a mold colony can help you to narrow down where mold is hiding. Any health issues you notice which occur when you’re in certain areas of your home can also alert you to the presence of nearby mold. Symptoms such as sneezing and sore or water eyes can be tell tale signs of mold growth nearby. 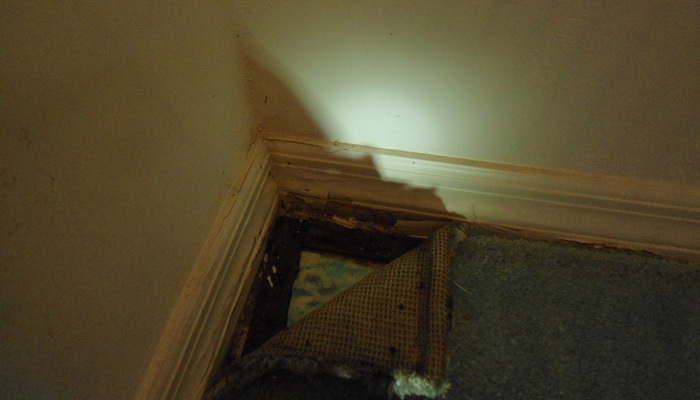 Sometimes you might find what you think is mold but what might actually be dark soot or just dirty spots. 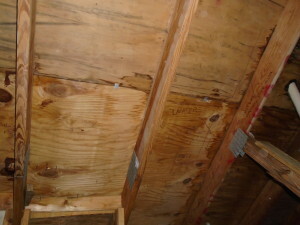 Look closely to be sure that what you have found is mold, disturbing it minimally if you need to examine it physically. If you are unsure you can always use a mold test kit to verify. Testing can also be helpful if for some reason you want to identify the species of mold you have found in your home. The second stage of mold inspection after finding mold growth is to find the water problem that caused the mold in the first place. There is no point going to the trouble of finding and removing mold in your home if the water problem that caused it is not fixed and then soon causes the mold to return. You should search your home for any water leaks or evidence of leaks. Besides stopping the leak or other water source you will need to take action to make sure it doesn’t reoccur in the future. Once you have found the cause of the mold in your home you will first need to fix it and then clean up any remaining moisture. After you have found the mold in your home you need to determine the size and extent of the mold colony before you can begin to remove it. If the mold looks like it might be toxic you should think about having it tested to determine its species so you’ll know whether you can remove it yourself or whether you should hire a professional. In either case you should not disturb any large mold colonies you find yet since proper containment should be set up before mold removal to prevent spores spreading throughout your home. After the mold inspection you might feel mold testing is warranted if you couldn’t find any mold. Mold testing can either rule out the presence of mold or help track down its location if it’s hidden. If mold was found and you decide you want to test the mold to find out its species, eg in case it’s toxic or to confirm it really is mold, then testing will also tell you what you want to know. You can visit Mold Testing if you want to find out more information about testing for mold in your home. Once you have found all the mold in your home you’re ready to move on to thinking about the mold removal and remediation process. See the Mold Removal page for a guide to removing and remediating mold in your home. After you have removed and remediated a mold problem you might want to perform the mold inspection process again to make sure that the mold clean up was successful. Swab testing is performed by an inspector to test fungal growth for the exact species. The inspector uses a sterile cotton swab to gather some of the mold growth which is then sent to a lab to be cultured and analyzed. This type of testing can be useful when occupants have become ill with a fungal infection, but does not add much useful information to the inspection that an average building occupant may need. Tape-lift testing is performed by gathering a small portion of the suspect material on a clear piece of sticky material and then placing it on a glass slide. The sample is then sent to a lab for analysis under a microscope. The general genus and characteristics of the tested mold is then reported to the inspector. This type of testing can be useful to determine if a discoloration is actually mold growth, or if the spores found in an air sample are being released from a specific location of mold growth. The truth of the matter is that mold growth is often readily visible by an inspector, and the actual type of mold growing may not be relevant to the source of the mold or the plan for remediation. An air test is performed by pulling a measured amount of air through a plastic cassette. The particulate material in the air will then stick to a glass slide that is enclosed in the cassette. The sample is then sent to a lab for visual analysis. The lab technicians will count the individual types of mold spores found in the sample and generate a report of spores per cubic meter. 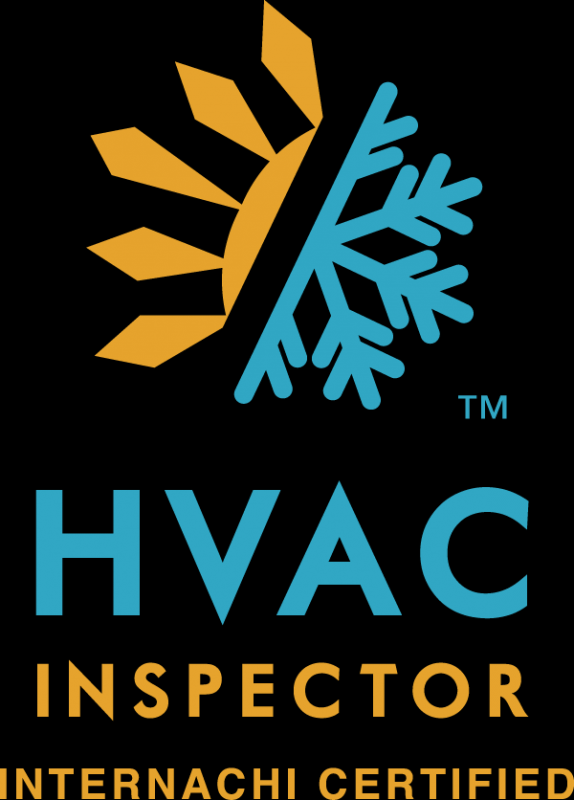 The inspector will generally take a baseline sample of the outside air for comparison. The indoor mold spore sample and outdoor air test are compared and a determination is made as to whether it is likely that there is a high fungal reserve in the home. Due to the nature of this type of testing, it is important to understand that it can only provide a general idea of the mold spore levels in the home. Mold spore testing is a good piece of information to add to an indoor air quality inspection but it’s relevance is based solely on the experience and interpretation of the inspector. We are going to tell you something right away about mold inspections and mold testing that is going to make 99% of all other mold companies and mold inspectors squirm. 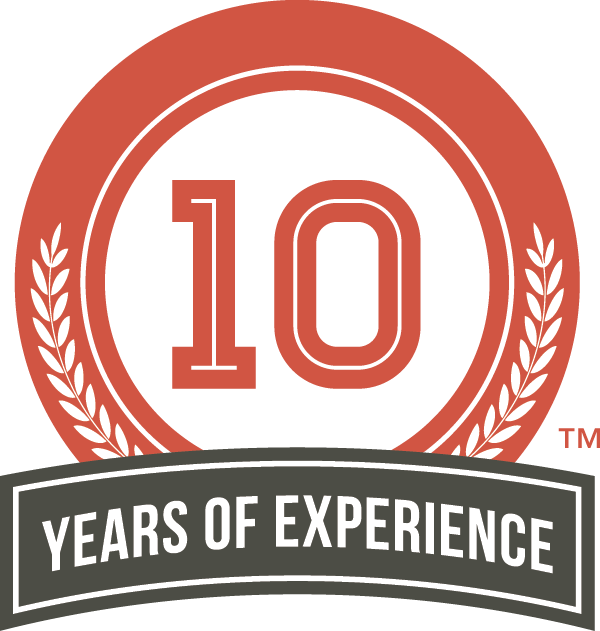 We know of no other mold company that will reveal this but we have been doing so for years because it is our mission to get good factual information about mold out there to combat all the misinformation and fiction that dominates our industry. Ready? Well, if you already see visible mold, you usually do NOT need a mold inspection or mold testing. If you already see visible mold, you simply need to remove it following industry standard guidelines as we discuss below. There ARE many cases where a mold inspection and mold testing IS a good idea and we discuss this below. We also discuss below why home mold tests that you can buy at hardware stores are a waste of money. But for now, the question begs: Why is it so relevant that testing is unnecessary if you already see mold? Because it will save most consumers lots of money! In other words, many consumers who call us (and presumably other mold companies) already see visible mold and think they therefore need to get it tested to determine what type of mold it is, whether its toxic, and other characteristics. But once you see visible mold, testing is usually unnecessary and a waste of money. Do you think most companies who inspect for mold care to reveal this when they have an easy $250-$1000 mold inspection on the table from a worried customer who is misinformed? Obviously not. Of course, there are some companies and individuals who are truthful and we commend them but they are sadly few and far between and drowned out by the others. So why is a mold inspection and mold testing almost always unnecessary if you already see visible mold? Don’t you need to know, for example, what kind of mold it is so you can determine whether its toxic? In fact, in most cases, the surprising answer here is “no.” For starters, so called “Black Mold” is a term that is badly misused and misunderstood as we already discussed in our other Industry Shakeup Article, The Truth About Toxic Black Mold: It’s Probably Not What You Think. Secondly, once you already see visible mold, knowing what type it is, for example, is usually irrelevant because at this point, you or a Mold Professional (like Moldman!) simply need to get rid of the mold following proper Mold Remediation and Mold Removal Principles. Doesn’t the type of mold matter in determining the right way to properly remove the mold? No. In fact, once visible mold is present, the same Mold Remediation Principles referenced above are followed to remove it regardless of the color, species, etc. When visible mold is not present, but the smell of mold is present. Here a mold inspection and mold test can reveal whether there is indeed elevated mold, and where it is located. There have been plumbing leaks or water issues and there is a suspicion that elevated mold may exist in the air and/or behind walls. Post Mold Removal Clearance Testing to ensure that the previous mold issues has been resolved and mold counts have returned to levels found in normal environments of the same type. Health Concerns: In some cases a doctor or the patient has a health issue that they cannot pinpoint the cause but seems to be related to mold symptoms (coughing, sneezing, headaches, etc). Here, a mold inspection and test may help to confirm whether the doctor’s or patient’s suspicions that a mold problem exists. 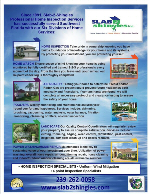 For real estate transactions for the protection of Buyers and Sellers. Landlord/Tenant disputes as to whether there is a mold problem. Someone thinks they see or smell mold but are not sure. Someone is interested in a general Indoor Air Quality test of their environment. Now why hire a mold professional at all when you can just go to your local home improvement store and just buy a home mold test kit and do it yourself? Mold samples are often misleading or simply wrong (i.e. due to error). You need a professional to interpret the results. Home Mold Test Kits don’t include a visual inspection conducted by a mold professional … very important! A professional mold inspection includes not only sampling but also a comprehensive visual inspection to detect issues and problems related to mold that are not apparent to most people without training in building sciences and mold inspections. Mold is everywhere. Yes, all homes have small amounts of mold. Therefore, when a petri dish from a home mold test tells you that you have mold, it is not telling you anything useful since every home has mold! If you suspect a mold problem but do not actually see it or smell it, these test kits do not help you locate the problem or tell you how serious it is. Mold is a fungus that comes in various colors (black, white, green, or gray) and shapes. While some molds are visible and even odorous, mold can also grow between walls, under floors and ceilings, or in less accessible spots, such as basements and attics. Mold does best in water-soaked materials (paneling, wallboard, carpet, paint, ceiling tiles, and the like), but can survive in almost any damp location. Mold can grow in houses situated in the desert, and it can grow in homes in hot and humid climes. Besides presenting an ugly appearance and, sometimes, an unpleasant odor, mold can cause health problems. In the worst cases, a few types of molds produce mycotoxins, which can cause rashes, seizures, unusual bleeding, respiratory problems, and severe fatigue in some people. Fortunately, most molds are of the non-toxic variety. For more on the hazards of mold, see the article on this site: Toxic Mold Health Risks and the resources listed below. You won’t always know if there is mold in a house you’re considering buying, but you can take a few easy steps to try and find out. Be on the lookout for mold. When you’re thinking about buying a home, look for the elements above to figure out if there are any obvious signs of mold or the potential for mold. Keep your eyes peeled for standing water in the basement, water marks on walls (particularly recent-looking stains), or musty smells (particularly in bathrooms, kitchens, laundry rooms, basements, cabinets with plumbing, or other areas with plumbing). If you’re looking at a newer home, find out whether it is built with “synthetic stucco,” also called the Exterior Insulation and Finish System (EIFS). This airtight barrier is supposed to improve insulation but, if improperly installed, may allow water penetration and mold growth on the inside of walls. 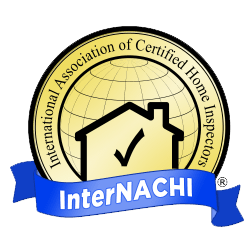 Don’t hesitate to ask whether the inspector saw signs of mold or potential mold dangers, and ask that these results be included in the inspection report. Some inspectors may be wary of this, because they want to avoid liability for any mold-related problems. But all should be comfortable talking to you about whether they saw anything suspicious. Ask the seller to disclose any mold or water-related problems. Some states, including California, require sellers to disclose information about mold. Keep in mind that the seller’s duty to disclose only relates to things the seller knows about or reasonably should know about — he or she doesn’t have a duty to go poking around in the walls to see if there’s mold, for example. Listen to agents and appraisers. In some states, real estate agents or brokers have a duty to disclose problems they know about. Likewise, an appraiser should notify you of any obvious sign of a mold problem if it could affect the value of the property. Add a mold-related contingency to your offer. Assuming you’re interested enough in the house to place an offer on it, making the sale contingent on your satisfaction with the results of specific inspections for mold lets you back out if the inspection finds a mold problem. Unfortunately, tests for mold are difficult to conduct and expensive. And, according to the U.S. Environmental Protection Agency (EPA), testing for mold isn’t usually necessary when it’s visible on surfaces. Most people will end up relying on the detection methods discussed above. Nevertheless, if you have reason to suspect there’s hidden mold in the home, you might elect to hire a professional mold testing company. 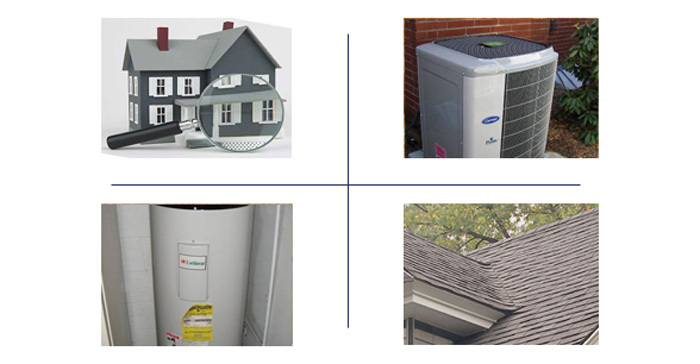 These companies test the air in and around the home. They can also dig into walls and take samples, which they later test in a laboratory. Testing the air usually costs several hundred dollars. If the company takes wall samples, the cost will be even higher. Should You Buy a House With Mold Problems? If you find a house and discover it has mold problems, should you buy it anyway? If you or a family member has asthma or if a baby or an elderly person will live in the house, you’ll want to be especially concerned about limiting exposure to mold. You’ll have to decide whether the cost of removing the mold and fixing the source — both in time and money — is worth the price you’ll pay. What If The Home Seller or Builder Did Not Disclose a Known Mold Problem? The U.S. Environmental Protection Agency (EPA) provides extensive information in the Molds and Moisture section of the EPA website, including advice on cleaning up mold after a flood in your basement. The Centers for Disease Control and Prevention (CDC) also has useful resources on mold on its website. Check the state agency responsible for mold and indoor air quality. You’ll find links to your state agency (often the department of health) and resources on the EPA site. Many state agencies have useful guides to dealing with lead in your home (see for example, the California Department of Public Health publication Mold in My Home—What Do I Do?. The National Conference of State Legislatures (NCSL) has an Environmental Health Legislation Database (see ) that tracks state legislation on environmental health hazards, including mold. The goal of a mold remediation is to remove and/or clean mold-impacted materials using approved standards and safe work practices that protect occupants and workers. For every mold job, the assessor should prepare a written (Report) Mold Remediation Work Plan (MRWP). This report should identify the source of moisture intrusion and/or humidity within the building and the process to correct the contamination as well as what is required to “clear” the property when cleanup is accomplished. The severity of the mold at your mold project may require the remediator to consult with a Florida-licensed mold assessor to adapt safety guidelines to specific conditions. Mold contaminated areas defined as Level II (between 10 and 100 contiguous square feet of damage) and Level II (greater than 100 contiguous square feet of damage) will require a greater level of protection for those working on the site. All Level I & II remediation projects should and will require that post-verification be performed by a Florida-licensed mold assessor. 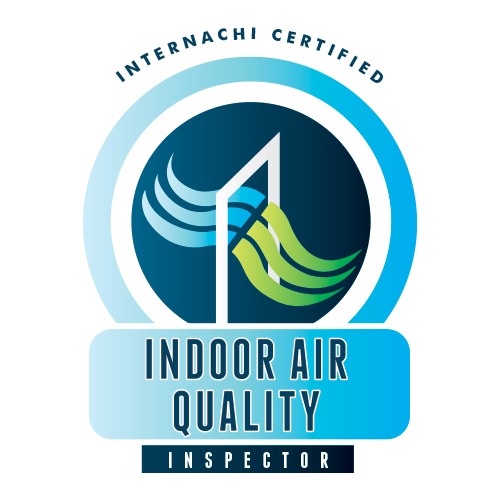 Certified Indoor Environmentalist or Industrial Hygienist is recommended. First and foremost there is NO PASS or FAIL for the Wind Mitigation Report. It is just an evaluation as to the construction of the home to see if you qualify for insurance discounts. Just because you do not get every discount does not mean your house was built poorly or substandard. 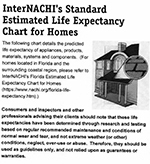 Your house passed the guidelines set by the state of Florida and the present jurisdiction your in. This form was compromised in 2012, so it did not exist when many of the houses were built, so the builder did not have this form when the houses were built so how could he maximize the discounts? Once again there is NO PASS or FAIL. It’s just an evaluation of what is present. It is NOT an INSPECTION report of this company. It is a report that was established by the Insurance Industry in Florida and we have very specific guidelines to follow and we are subject to have an inspector to follow up right behind us to ensure what we have reported is in fact the exact conditions that we reported. OWNER INFORMATION – The heading is just the information that WE HAVE for the client. It may not be filled out fully, its because we do NOT HAVE the information. We have put in as much information as we have. Feel free to add information to this header. 1. 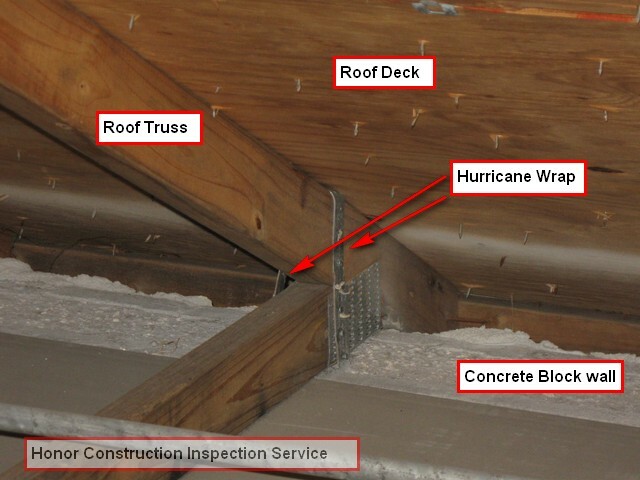 Building Code: This section asks if the building was built In compliance with the 2001 Florida Building Code or if the home is located in a High Velocity Hurricane Zone (HVHZ) that that is built in compliance with the South Florida Building Code of 1994 (SFBC-94). This is determined by the permit application date of the building. The plans were drawn up and approved under the building codes that were in effect at that time. This lets the insurance company know how old and what codes it was built under. There is nothing that can change this other than demolition of the house and rebuild under newer codes. 2. Roof Covering: This section is asking for the application date of when the roof covering was installed or the (2001 Florida Building Code) FBC/MDC (Miami-Dade County) product approval numbers for the roof covering installed. If a roof was replaced and no permit was pulled there is no verification of what codes this was replaced under, therefore the date will be either the last recorded permit pulled for the roof or the original installation during the time of original construction. To qualify for option A. 2001 Building Code the permit application date has to be on or after 03/01/2002. To qualify for option B. Miami Dade approval listing current at the time of the installation or for HVHZ only, permit applications date after 09/01/1994 and before 03/02/2002. 3. Roof Deck Attachment: The weakest form has to be documented. The form pretty much describes it. This is document what type attachment is used to hold on the roof sheathing and how much uplift it will withstand. Option A: Plywood/Oriented strand board (OSB) roof sheathing attached to the roof truss/rafter (spaced a maximum of 24″ inches o.c. )by staples or 6d nails spaced at 6″ along the edge and 12″ in the field. -OR- Batten decking supporting wood shakes or wood shingles. -OR- Any system of screws, nails, adhesives, other deck fastening system or truss/rafter spacing that has an equivalent mean uplift less than that required for Options B or C below. Option B: Plywood/OSB roof sheathing with a minimum thickness of 7/16″inch attached to the roof truss/rafter (spaced a maximum of 24″inches o.c.) 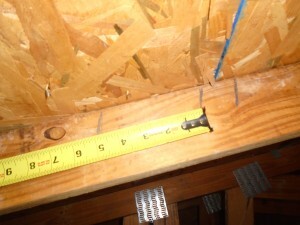 by 8d common nails spaced a maximum of 12″ inches in the field.-OR- Any system of screws, nails, adhesives, other deck fastening system or truss/rafter spacing that is shown to have an equivalent or greater resistance 8d nails spaced a maximum of 12 inches in the field or has a mean uplift resistance of at least 103 psf. 4. Roof to Wall Attachment: This section described the way the trusses are attached to the main house structure. A minimum of three nails need to be used with every option other than toe nails. Toe Nails are a single nail driven through the truss at an angle into the top plate of the supporting wall. Clips are metal connectors that do not wrap over the top of the truss/rafter, or Metal connectors with a minimum of 1 strap that wraps over the top of the truss/rafter and does not meet the nail position requirements of C or D, but is secured with a minimum of 3 nails. Single Wraps are metal connectors consisting of a single strap that wraps over the top of the truss/rafter and is secured with a minimum of 2 nails on the front side and a minimum of 1 nail on the opposing side. Years ago, home inspections were unheard of in residential Real Estate Transactions. Ideal for property managers, or renters who wish to record the condition of a rented residence when a tenant moves in and again when the tenant moves out. Protects both tenants and landlords by clearly documenting the condition of the rental property. Offers a detailed, customizable checklist to ensure both leassee and lessor are safe. A professional home inspection by Slab-2-Shingles benefits every person buying a home, every person selling a home, and every professional involved in a residential real estate transaction.